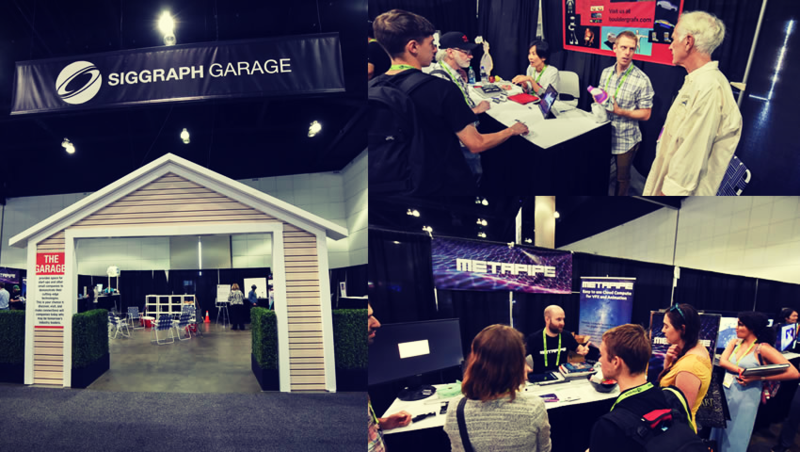 The SIGGRAPH Garage, an area within the SIGGRAPH 2017 Exhibition that harkened back to a time when start-up technology companies were often built in someone’s garage, debuted this year to recognize the many new startup companies entering the industry. Using a garage-like facade — complete with tools and shrubs — 15 exhibitors, from 8 different countries, were each provided one table, two chairs, Wi-Fi, and, most importantly, the SIGGRAPH audience for three days. Attendees come to the SIGGRAPH Conference to find out what is new and different. When looking at past attendee feedback on the Exhibition, 71% indicated that they often enter the space to find new companies that they would consider doing business with in the future. The Garage offered an excellent opportunity to discover exactly that type of company. Garage exhibitors brought innovative new products that created powerful and interactive mixed, augmented, and virtual reality experiences. Another product category that created high interest is products focused on the creation, distribution, and consumption of 3D VR content. MetaPipe is on the front line of streaming workstations. We make it fast and easy to set up or scale a studio project in only a few minutes – and allow artists and creatives to truly harness the power of the cloud. File networks and syncing solutions are backed up in the cloud, and make it possible to access your files wherever you are. And rendering is now a breeze, by using as many virtual machines as you want at any given time… it’s like having your own farm at your fingertips. Never miss a deadline again because of render times! Studios and individuals alike now have access to efficient, reliable, bleeding-edge technology that keeps costs predictable, while giving everyone a chance to use top of the line equipment – wherever you want, however you want. 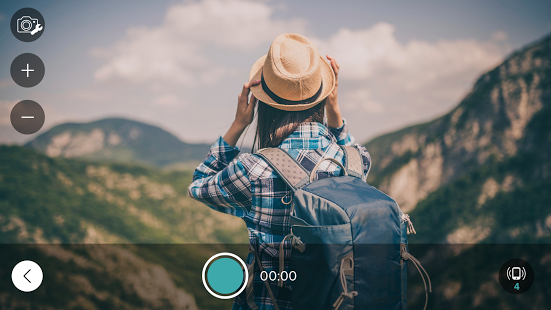 Cinamaker steps up your production game by enabling fast, simple and powerful multi-angle recording, editing and live streaming from your iOS or Android smartphones and tablets. Cinamaker makes multi-camera video shoots fast, easy and affordable, rapidly lowering your production time and cost. No matter what you are shooting, using more than one camera will increase your production value. Dream•flux provides seamless blending of digital contents with real-world footage captured in 360° videos, generating realistic lighting and enables real-time rendering and interaction. Our technology allows for new and creative mixed reality solutions that were previously not possible with either 3D rendered content or 360° videos alone. Toolchefs specializes in creating unique plugins for a variety of softwares, such as Autodesk Maya, The Foundry Nuke, SideFX Houdini and Newtek Lightwave. We also develop standalone applications, such as our own license system. Even though our tools mainly target animation, we are also expert in pipeline, rigging, modelling, crowd and lighting. If you’re a startup focusing on computer graphics and interactive techniques, get information on exhibiting at SIGGRAPH 2018 in Vancouver by contacting Angela Chybik at exhibits@siggraph.org or +1.630.434.7779.